Paul Mitchell Buy 1, Get 1 50% OFF! Includes all Tea Tree and Neon. Dealing with Cradle Cap? Try the Baby Don't Cry shampoo and baby wash! 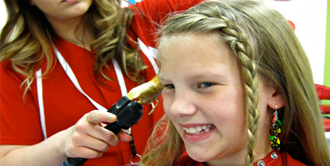 Make your next Kids' Hair appointment online with Salon Check-in. Make an account to schedule, change appointment times and book with your favorite stylist. 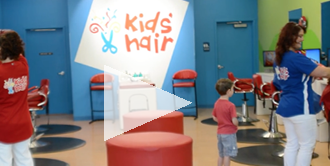 Our salon tour video features the Kids' Hair experience, information about our services and products and our mission to providing high quality haircuts in a fun, safe and comfortable environment. Kids’ Hair is proud to be celebrating 25 years! Everything about our salon environment is made with kids in mind. Check out our salon tour video to learn more. Check out the current product promotions, haircut discounts and in-store giveaways and offers! 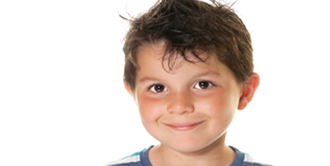 Our #1 goal is for kids to have healthy, strong and manageable hair. From lice to tangles, we are here to help with any hair concern.